If you seem to be having trouble attracting talent, it may be because your career site is not up to par. An unattractive career site can turn job seekers away instead of converting them into applicants. It is imperative that employers enhance their career site to provide applicants with the best possible picture of the company, especially in a tight job market. The main goals of job seekers when searching your career site will be to search jobs, learn more about the company, and determine why they should want to work there. 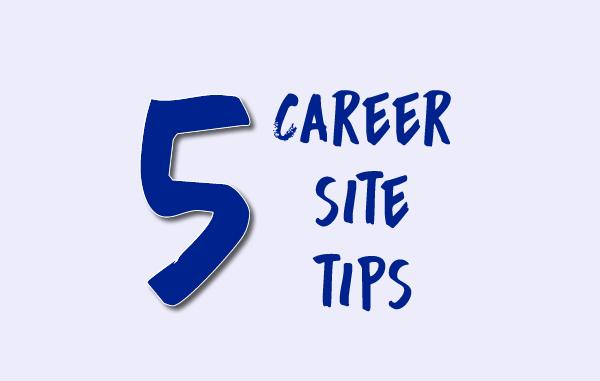 Here are five steps that will make your career site attractive to candidates. Move beyond one page. The one page career section is no longer enough. It’s important that employers invest in creating content that is of interest to job seekers. Examples of such content includes employee testimonials, a description of the hiring process, and employee photos. Make it mobile friendly. You could lose up to 30% of potential candidates if they can’t easily search and apply for your job openings on a mobile device. If you manage applicants using an applicant tracking system as part of your career site it may already be mobile friendly, but if your job listings and application process are custom designed it’s important to be make sure everything is compatible with mobile devices. Get Social. Begin promoting jobs, new hirings and perks on social media channels such as Facebook, Twitter, Instagram and Linkedin. Social networking will help job seekers to know you better and make it easier for them to reach out to you. Add video. The internet is largely visual. Create content with more images and video, particularly on social channels. Make videos of employees describing why they like working for your company. Define your EVP. The EVP is your employer value proposition to candidates. It’s a statement or paragraph that explains what makes working at your company unique from anywhere else. Job seekers are interested in learning more about your company and its work culture. Using the steps listed above will allow you to share that information and while making your company more attractive to candidates.